$149/week, $139/additional child - 4-day registration only! This drop-off camp is for children 4-10 years old. 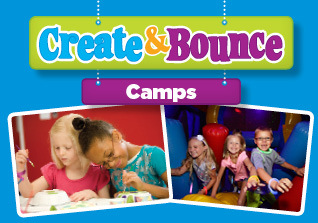 It includes exciting arts and crafts and TONS of bouncing. Want your kids to unleash their energy and creativity? This summer camp program is perfect for you and the kids!